But it’s just as necessary. If the theme of a book is its “heartbeat,” then motifs in literature are the vessels that keep the blood coursing through the work. Among other things, motifs add dimension to your writing and will steer your readers towards your book’s central message. 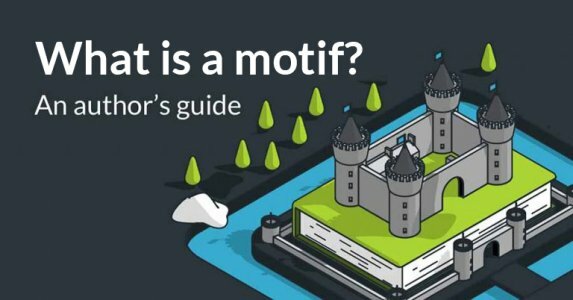 In this post, we’ll look at what a motif is (and is not), see examples of it in action, and explore how you can incorporate motifs into your own writing. What is a motif in literature? How can you work motifs into your book? The motif is a recurring narrative element with symbolic significance. If you spot a symbol, concept, or plot structure that surfaces repeatedly in the text, you’re probably dealing with a motif. Motifs must be related to the central idea of the work and they always end up reinforcing the author’s overall message. Since they’re repeated throughout a text, motifs are also traceable. It might be useful to think of them as a trail of clues that the author purposefully leaves behind. 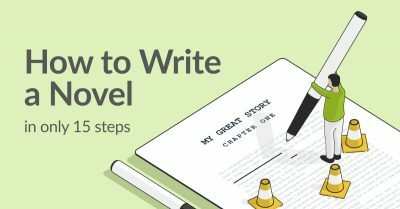 The author plants these breadcrumbs so that the reader can better work out the ideas behind the work — and its overarching point. That brings up the next question: what’s the difference between motifs vs. themes? The theme of a book is generally considered to be the core meaning behind a story — the “soul” behind the text, in other words. Themes are almost always universal and they usually illuminate something about society, human nature, and the world. In contrast, a motif reinforces the theme through the repetition of a certain narrative element. As you might have already guessed, themes and motifs in literature are perpetual partners in crime. To give you an easily digestible example, let’s take Shakespeare’s Sonnet 24. The theme of this sonnet is arguably that “love is skin-deep.” But one of its main motifs is sight, which is made clear through the recurring imagery of eyes. It’s not a coincidence that the motif and the theme of a text are closely related: the former subliminally props up and strengthens the other. Million-dollar question: what's the difference between a motif and a theme? Find out here! Symbols in books are just like symbols on street signs: something recognizable that represents something abstract. In the U.S., for instance, eagles are a symbol of freedom. In Hunger Games, the mockingjay is a symbol of revolution. That said, when you see a symbol surface over and over again, chances are that it’s a motif. Let’s cut to The Great Gatsby to illustrate this. F. Scott Fitzgerald uses the Valley of Ashes — a barren wasteland between East and West Egg — as a symbol to represent the waste and moral decay of the elite. This is a part of the book’s bigger motif of wealth and finance, which recurs through a number of ideas — among them, Gatsby’s parties, the extravagance of the both West and East Eggs, and Daisy’s voice that is once described as “full of money.” That, in turn, reinforces one of the book’s major themes about the corruption of the American Dream. Now that you have a better sense of what a motif is (and is not), let’s see more in action. What are examples of motifs in literature? We've defined a motif and talked about varying interpretations of a motif's definition. So what are some examples of motifs in books that you might have read before? Let's take a look now. Story: An orphaned girl grows up and becomes embroiled with her employer, a broodingly mysterious man named Mr. Rochester. 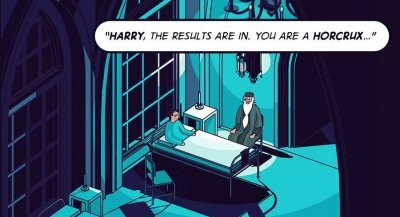 Story: A young boy goes to wizarding school, makes friends, and tries to defeat an evil wizard. Story: A fellowship must destroy an all-powerful ring and the Dark Lord seeking to rule Middle-Earth. Story: A rich man tries to win the girl of his dreams in the summer of 1922. Story: A teenage boy seeks to find himself in New York City while coming to terms with his past. Story: After a girl and her dog are swept into the magical land of Oz, she must go on a journey to find her way home. Story: Wracked by grief, a young man hunts for the truth to avenge his dead father. Story: Two men find themselves falling in love with the same woman amidst the French Revolution. Story: After a plane crashes, a band of boys must survive on a deserted island. Story: A town battles the man-eating shark that has come in the middle of an idyllic summer. PRO-TIP: Short stories often have strong motifs and themes. For 21 of the best short story collections, go here. As you can tell, most books have more than one motif. Authors spend a lot of time perfecting their central messages and want to make sure that you know exactly what they are, which is why (and when) they turn to motifs. Are there any patterns that repeat in this book — whether it’s an idea, symbol, or plot structure? Do they have anything to do with a central theme or message of the book? If so, how do they illuminate and relate to the theme? Not too hard, right? Of course, now you might be wondering how to write motifs into your story, which takes us to the next question. Well, this is all easier said than done, you might say! While not a piece of cake, writing motifs in literature is far from impossible. Here are three ways you can go about applying them in your manuscript. The next step is to incorporate it into your book. Even if you know what your motifs are going to be, you now need to tackle the other part of the definition: you need to make them recur. 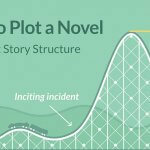 If you create a detailed outline before writing the first draft, you can probably spot the key events in your novel that are relevant to your theme. One of the most famous motifs is the mockingbird in To Kill a Mockingbird, which is so important it surfaces right in the title of the book. However, comparatively speaking, the mockingbird itself doesn’t appear too often in the book. But it becomes a powerful representation of innocence and goodness because it was woven into the narrative at the right moments. 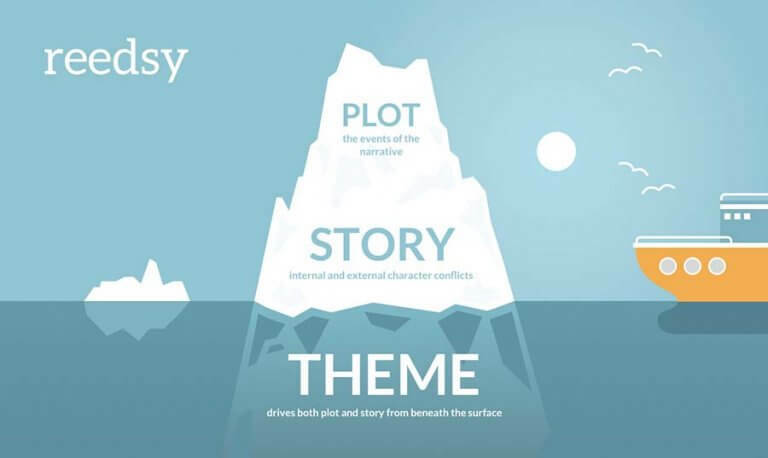 Likewise, your goal is to tie your motif into your story in a natural and compelling manner. Heavy-handed symbolism is something to avoid. Option 2: See if any organically rise. It’s not always necessary to plan out your entire novel. Sometimes you just need to write your draft and trust that your writer’s brain will supply the fuel. 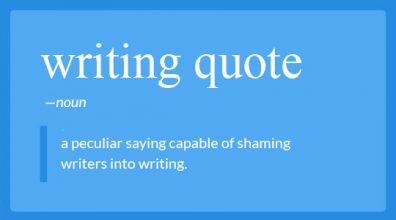 For instance, you might be writing a story about a character who’s working through the five stages of grief when you notice yourself going back repeatedly to the character’s flute. Many motifs in literature are born organically this way: the writer realizes that they need to represent a major theme and their subconscious finds a way to deliver it. If this happens to you while you’re writing, pause for a moment and re-trace the motif back through your draft. It’s useful to connect the dots and figure out why your subconscious wanted to bring up this idea or symbol in relation to this character or theme. Once you determine the purpose the motif will serve in the big picture, you can see it through to the end of your draft. 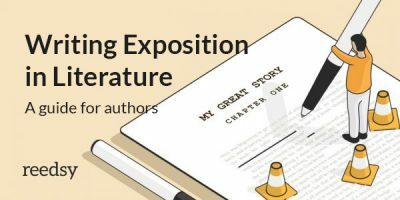 If you need help developing your characters to that point, here are some character development exercises and a free character profile template for your personal use. 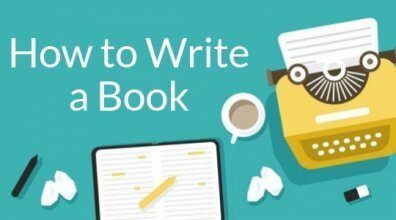 Though some writers see freewriting as an unnecessary distraction, this exercise combines the best of both worlds. If you’re itching to nail down your motifs before you start writing, but aren’t feeling inspired, consider freewriting. This is the practice of writing down all of your thoughts without stopping for a certain period of time — usually between 10-20 minutes. To tease out your motif, try to start off by freewriting about your theme. When you’re done, go back and see what ideas or symbols surface repeatedly in the exercises. You might be surprised at what your mind produces when the block of self-editing is removed. Like themes, motifs are there to help you write your book (and help readers read them)! If you let them, motifs will add another layer of depth to your story. So don't be afraid of them — let the motifs come to you naturally as you're writing or planning — and you'll find that your themes will thank you for it. How do you approach motifs in your stories? Do you have any further questions about the subject? Leave your thoughts for us in the comment box below! How to Plot a Novel Using the 3-Act Story Structure. 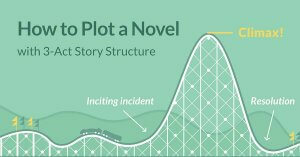 Discover what goes into plotting a novel using the famous 3-Act story structure. 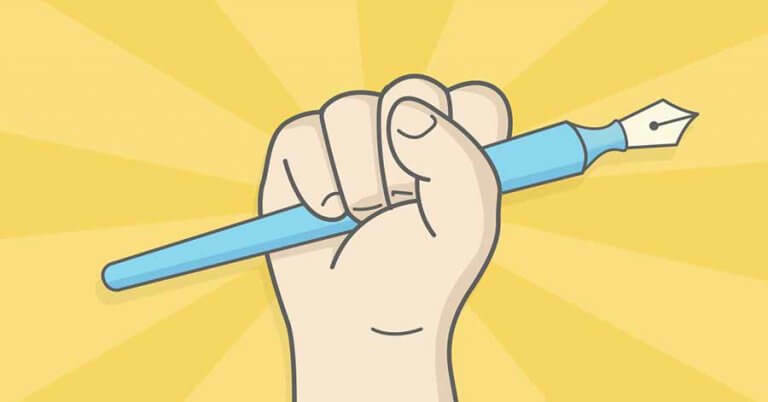 Enroll on this 10-day writing course.